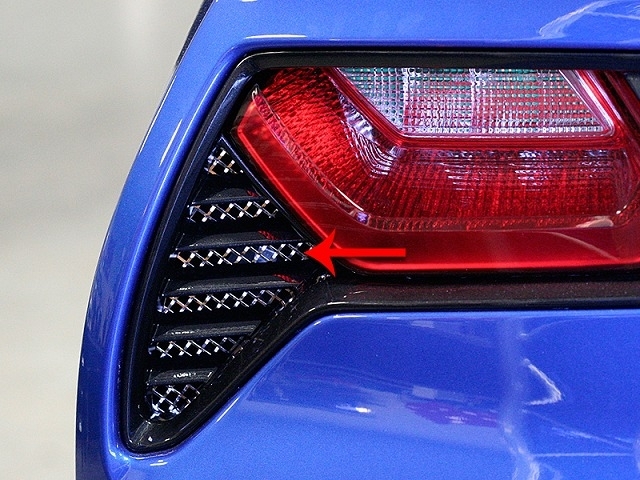 These laser mesh rear taillight grilles are a great way to change the looks of your 2014 Corvette C7 Stingray. Made of T304 polished stainless steel, these will never rust, fade or yellow. Sold as a two pieces kit. Peel and stick for installation will take roughly 30-40 minutes to install into your existing tail light housings.